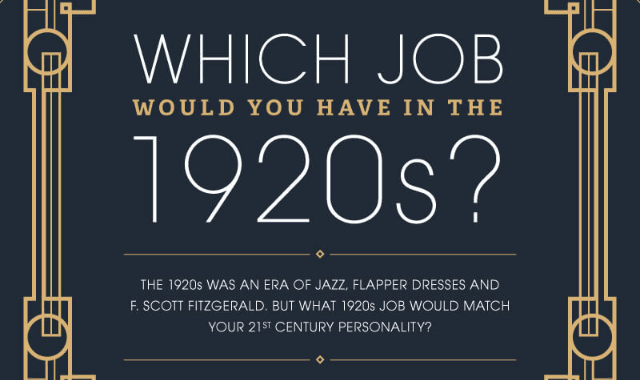 Which Job Would You Have in the 1920s? #Infographic ~ Visualistan '+g+"
Compared to how life was just a few decades ago, life in the 21st century looks like science-fiction. We work on tiny portable computers and spend our wages using apps on our smart phones. But how would you have got by in the ‘Roaring Twenties’?